Representatives of an international organisation, Free the Wild, met with Information Minister Fawad Chaudhry and officers of relevant departments in Nov 2018 in Islamabad, saying that the INGO wants to help the government upgrade the Islamabad Zoo. Representatives of the organisation urged government officials to release the 33-year-old Asian elephant into an animal sanctuary. Chief Metropolitan Officer (CMO) Syed Najaf Iqbal and Metropolitan Corporation Islamabad (MCI) Director Zoo Sohail Ghazi also attended the meeting. 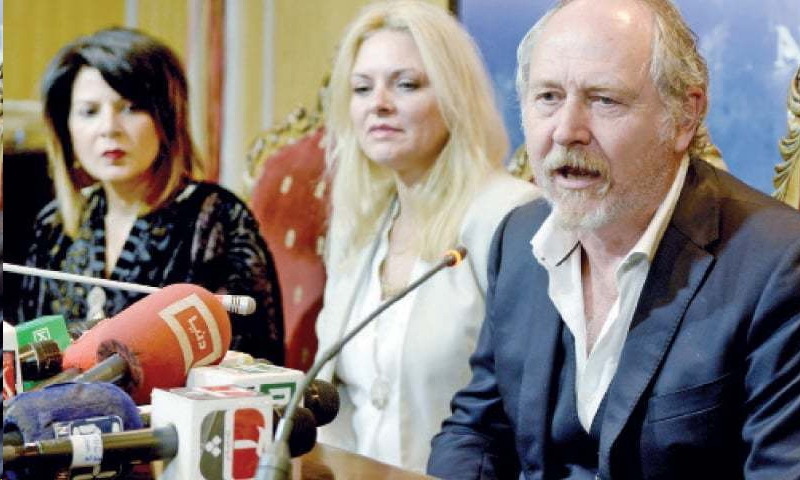 Representatives of the INGO, Marke Cowne, Gina Nelthorpe-Cowne and Anika Saleem held a press conference along with Mr Ghazi and said an understanding has been reached for the development of the Islamabad Zoo. Mr Cowne said his organisation will help the authorities upgrade the zoo. Asked about the release of Kavaan, he said nothing has been finalised yet. “But Kavaan is still an important question for us,” he said. Mr Ghazi said both parties will soon sign a memorandum of understanding (MoU) for upgrading the zoo and that no decision has been taken about Kavaan yet. However, the director said Kavaan is on the agenda items being discussed by both parties. Mark Cowne is a representative of singer and popstar Cher, who is one of Kavaan’s many international benefactors, He visited Pakistan on her behalf in 2016 to see how the elephant is doing. Anika Saleem’s group had launched a campaign for freeing Kavaan from his chains a year ago. The zoo staff had had to unchain him due to growing international criticism. She said the elephant is not mentally fit due to being kept in captivity for decades. She said the animal should be set free and sent to a sanctuary where he will have a vast area to roam around freely in. “They are offering to upgrade the zoo, to train our staff and help bring improvements in the infrastructure. They have also expressed concerns over the elephant and it being kept in captivity for so long,” Iqbal said. He said that if Kavaan is not mentally fit, there is no harm in releasing him in an animal sanctuary. He said nothing has been finalised and that the MCI will only sign the MoU after the approval of the mayor and the federal cabinet. Kavaan’s case was taken up by animal rights activists across the world a couple of years ago because he does not have a partner and has been forced to live in a small enclosure. 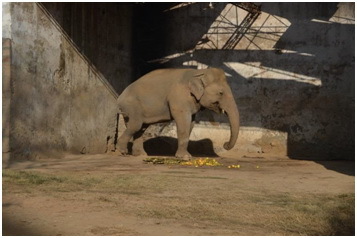 His partner, Saheli, died in 2012 reportedly due to negligence by zoo staff and he has been alone since. Meanwhile, during his meeting with Mr Cowne, the information minister said that the government is committed to the protection and welfare of animals kept in zoos. In a statement, the minister said captive animals should be treated with care and affection. The statement says Mr Cowne had offered his charity’s services on a philanthropic basis for improving the zoo. He said the Islamabad zoo has a large area and has great potential for improvement. He said the INGO also wants to train zoo staff and officials, to provide it with state-of-the-art facilities for visitors and better enclosures for animals. In the statement, the minister has welcomed the offer and emphasised on the need for formal collaboration and the signing of an MoU between MCI and Free the Wild.